Now Teach recruits successful career-changers to train as teachers in shortage subjects in the schools that need them most. 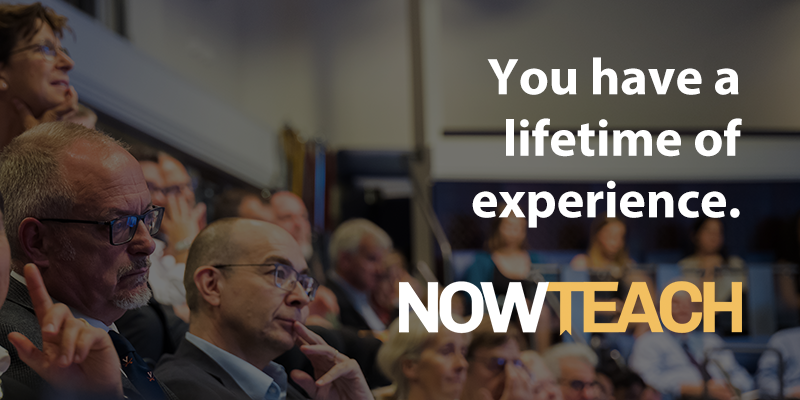 This year Now Teach are excited to roll out their programme across Norfolk, East Anglia in partnership with Inspiration Trust. If you are interested in a new challenge that will benefit the young people in your community, come along to find out more. There will be a short presentation followed by an opportunity to speak to the Now Teach team. Refreshments will be provided.